Our throwback Thursday feature will expand and hopefully maintain better regularity. We want to show the total experience going on back whenever what we find is from. In this week’s case, we go to 1992 for an early-season game featuring No.5 Florida State and No. 15 Clemson. ESPN broadcasts have come a long way from the quaint early 1990s. 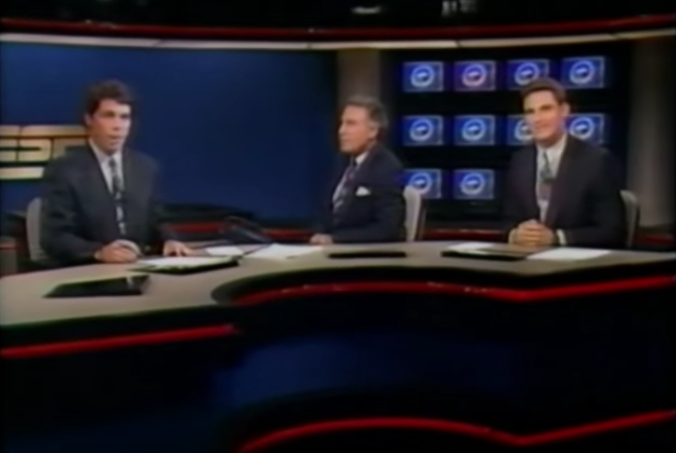 The broadcast features an ESPN studio pregame with a young Chris Fowler, middle-aged Lee Corso plus Craig James. How on Earth did we ever make due watching this quality of video? Production values aside, college football has certainly changed quite a bit in the 26 years since this game was played. The Seminoles were victorious on this particular gameday, edging the Tigers 24-20. This was only FSU’s second ever ACC football game and the first on the road. The opener had been a comfortable win over Duke the previous week. 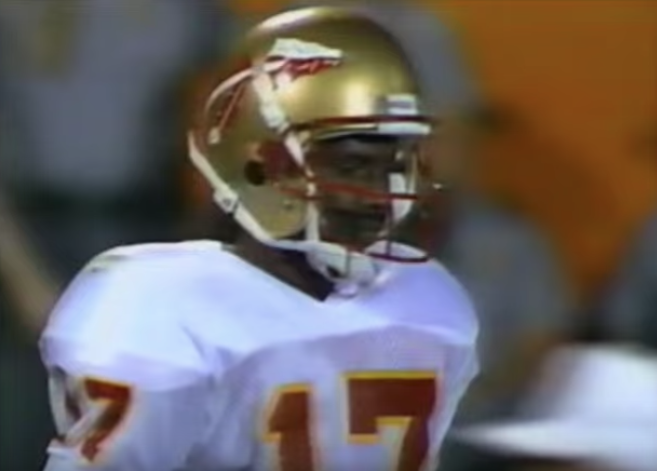 Charlie Ward threw for 2,647 yards and 22 touchdowns in 1992. He also ran for over 500 yards and six scores. Florida State had a strong season behind first-year starting quarterback Charlie Ward. The ‘Noles finished 11-1 overall and took home an Orange Bowl title with a 27-14 win over No. 11 Nebraska. That was good for a No. 2 overall ranking in the final AP poll. Alabama won the national title after a win over Miami. A compelling case could be made for the four-team playoff during 1992. The Hurricanes were the only team to defeat Florida State. That game was one of seven FSU played against ranked opponents in 1992. Tight End Ty Gibson (No. 9) and the Clemson offense came up just short against Florida State. No. 15 Clemson, No. 16 NC State, No. 2 Miami, No. 16 Georgia Tech and No. 23 Virginia were all on the road. Only No. 6 Florida went to Tallahassee. The ’92 Seminoles were a juggernaut. 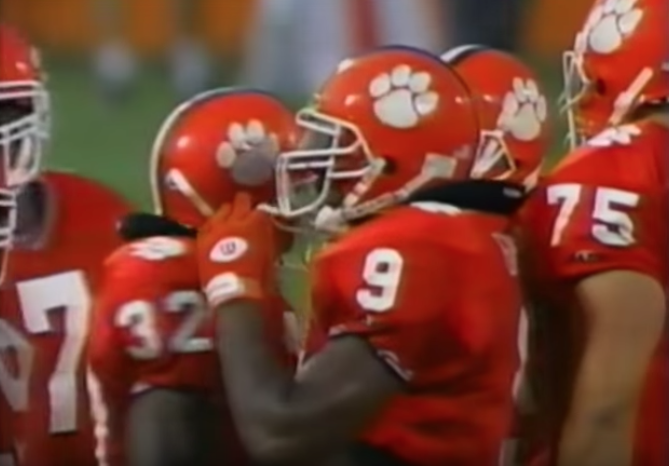 Clemson went in the other direction in 1992 finishing just 5-6 overall. It was the only losing season in the four years that head coach Ken Hatfield ran the Tigers’ program. Hatfield took over for Danny Ford who resigned in 1990 after he and the Clemson administration had a significant falling out. Ford had won the school’s only national title in football at that time (1980) and finished his run at Clemson with a 96–29–4 overall record that included 6-2 in bowl games. Hatfield reportedly accepted the Tigers’ job just a week after Ford’s resignation without having ever set foot on campus. Hatfield would follow 1992 that with an 8-3 mark in ’93 before leaving for Rice where he spent his final 12 seasons as a college head coach. He was 32-13-1 during his time at Clemson. You can watch the entire game below if you have three and a half hours to kill. It’s a good one. Follow me on Twitter @BestCates and follow @InsideTheACC for more Atlantic Coast Conference coverage.